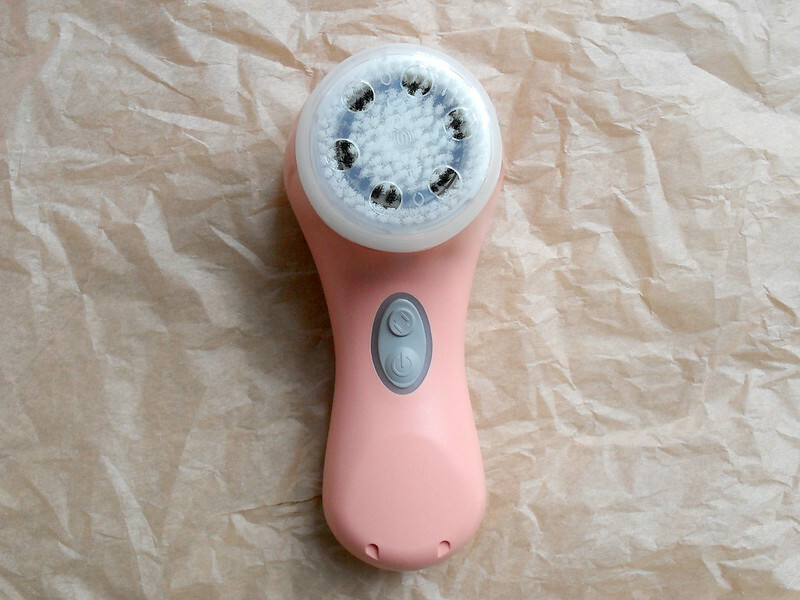 When Clarisonic first came on the market I was intrigued as to whether this electronic cleansing brush would actually make a difference to my skin. It doesn't come cheap and although I wanted to try it, I wasn't willing to spend that much money on it when I didn't think my skin really needed it. 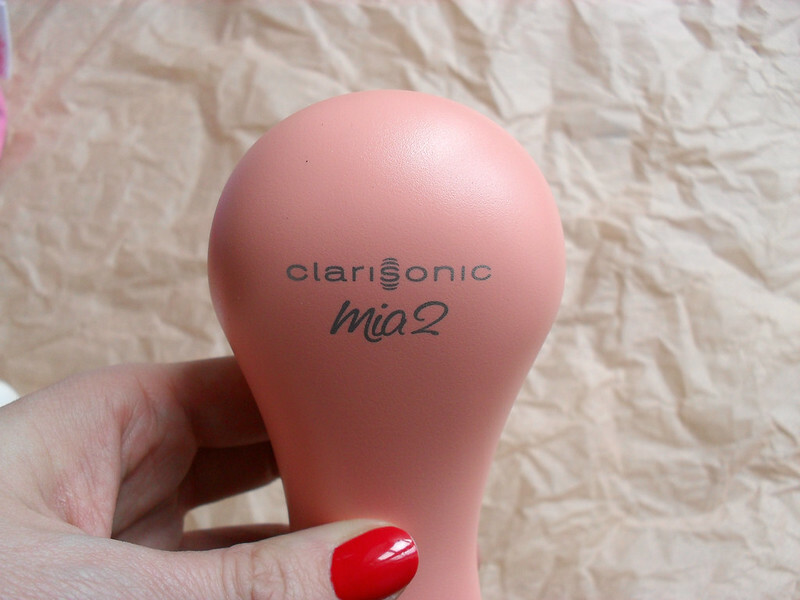 Earlier this year, I was lucky enough to be sent a limited editon Clarisonic Mia 2 from the Nautical Summer collection in the pretty Sunwashed Peach shade. Let's begin with what Clarisonic claims it can do for your skin. Clarisonic has a patented sonic technology that has been clinically proven to to cleanse the skin six times better than using hands alone. The device head moves back and forth at a frequency that produces over 300 micro movements per second gently massaging the skin to remove any impurities from the pores. It thoroughly cleanses the skin, transforms the texture and reduces pore size. It also improves the absorption of any serums and moisturisers into the skin afterwards. 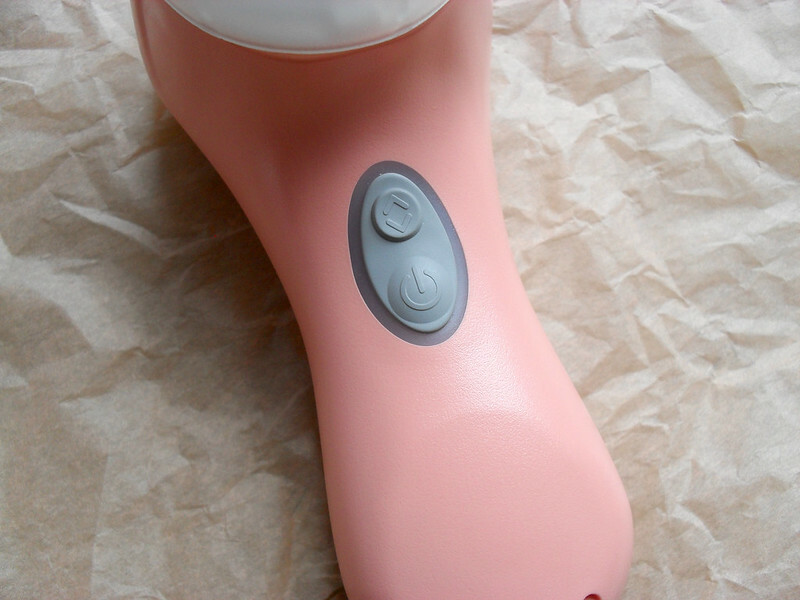 The end result of using a Clarisonic device is softer, smoother and more radiant skin. 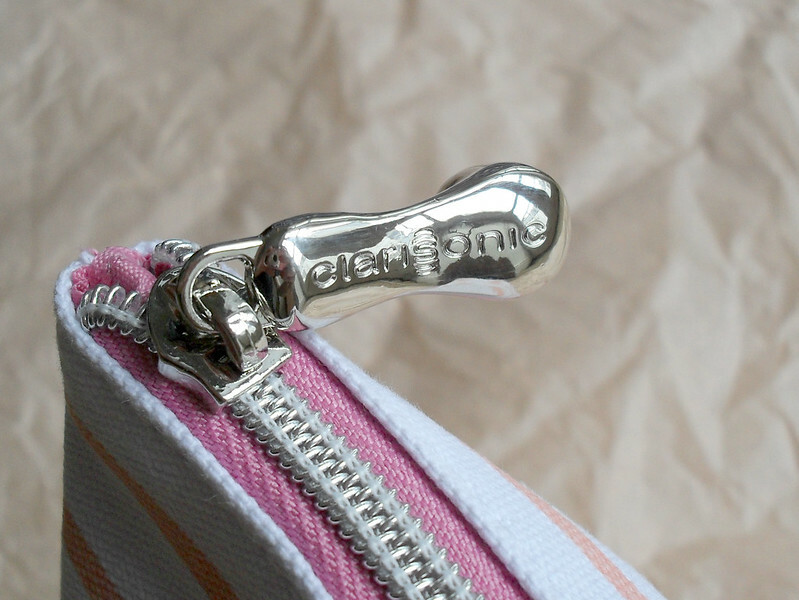 The big question is do I agree with everything the Clarisonic claims it can do for your skin. After using it almost every day for about six months I can safely say I am a total convert. If my Clarisonic stopped working for whatever reason I would be straight out to buy another one. I have seen first hand how much excess make up and build up of product that this removes after a first cleanse and I have no doubt that it cleans the skin much better than cotton wool or a face cloth could. I haven't tried the Clarisonic Cleanser yet but I've just been using mine with whatever cleanser I currently have. I've tried it with the REN Clarimatte T-Zone Control Cleansing Gel, the Estée Lauder Perfectly Clean Foam Cleanser ( I have a review of that here) the Origins Checks and Balances Face Wash but at the moment I'm using it with Lancôme Clarifying Cleanser Pearly Foam. I would recommend any of these cleansers to use with it, they are all amazing at making my face feel clean, soft, smooth and hydrated. The device comes with a Sensitive Brush Head, a protective case, a charger and a sample size cleanser. I found the sensitive brush head a little harsh for my skin despite the fact that I don't have particularly sensitive skin, so I got the Delicate Brush Head when it needed to be replaced. I find it much better for my skin and I would recommend it if you have any kind of sensitivity. You can use the Clarisonic twice a day if you like, but I tend to just use it in the evenings when I'm taking off my make up. It only takes 60 seconds to use so even when I'm really tired and don't feel like going through all of the steps in my skincare routine, I still use my Clarisonic. Once charged it lasts for about three weeks so you could take it away on holidays and you wouldn't have to bring the charger if you didn't want to. I wanted to give the Clarisonic a proper trial before I reviewed it, but even after a few weeks I saw a difference. If you have any skin issues or find removing your make up to be a chore or even if you're looking for a Christmas gift for someone I think everyone would benefit from using this on their skin. Clarisonic recently collaborated with the Keith Haring Foundation to create a limited edition range featuring the artist's illustrations. There was another recent launch from Clarisonic, the Smart Profile which is a face and body device. Clarisonic is available from Debenhams, House of Fraser and Space NK and prices start at approximately €149. 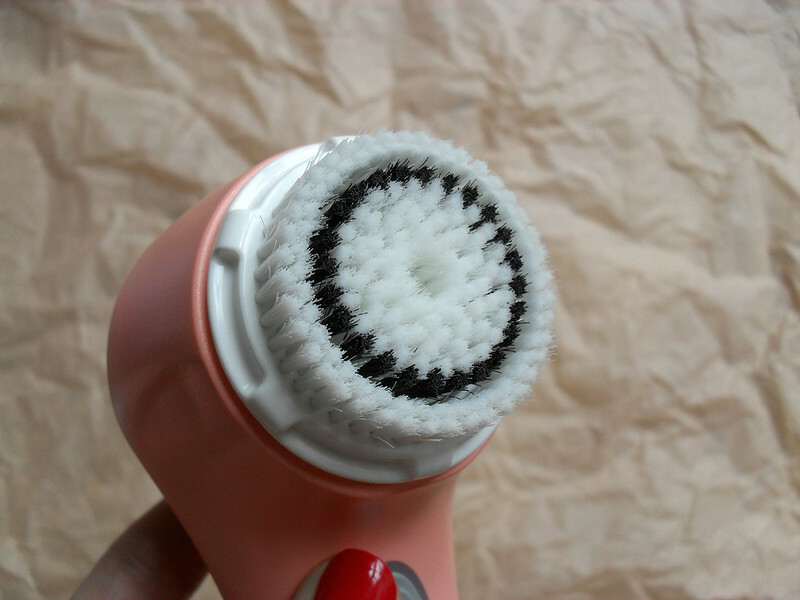 Have you converted to Clarisonic yet or have you tried any of the other cleansing brushes on the market? I remember when the Clarisonic was huge in the blogging/YouTube world! I was curious about these devices and even tempted to buy one despite the steep price tag ... but I think I settled for a cheaper alternative by Olay instead. It likely isn't the same thing (certainly doesn't have the same technological capacity as the Clarisonic), but it satiated by curiosity about an oversized electronic toothbrush for the face :p Mine ran out of battery though and I never bothered to replace it ... haha. I found it was fairly effective when paired with a gentle exfoliating cleanser, but not something I could be bothered to use on a daily basis. Yeah there was such hype about it when it first came out, but I didn't think it was worth it and I didn't want to spend that much money having not tried it out but I can't believe what a difference it's made to my skin and it wasn't even that bad to being with!